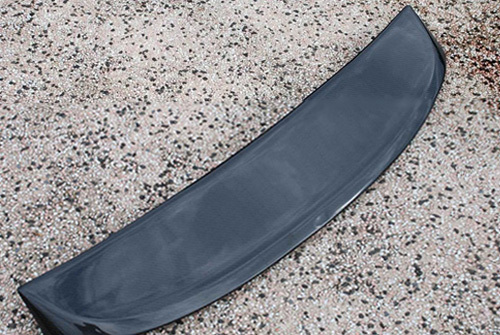 Give your ride a more sporty style with ABT Style Carbon Fiber Spoiler for 8P Audi A3. Made from the highest quality carbon fiber, the 8P A3 Carbon Fiber Spoiler is professionally crafted to ensure that you are getting the best quality product available. Since we only carry the best brands around, you won't have to worry about any fitment issues as the ABT Style Carbon Fiber Spoiler has excellent fitment quality and installs flawlessly. Installation is simple and only requires the use of 3M double stick tape or any other type of automotive molding tape. Professional installation recommended. Get this ABT Style Carbon Fiber Spoiler for 8P Audi A3 installed by our experts at ModBargains. Our experts have many years of experience in perfecting each install!